Iowa crossed a threshold this year. It now gets 31% of its electricity from renewable energy, more than any other state. So far, it all comes from wind, bringing $11.8 billion and 6000 jobs to Iowa’s economy, says the American Wind Energy Association (AWEA), noting that 13 factories in Iowa manufacture turbine parts and materials. Within five years, wind will supply 6.3 million households in the state, when it reaches a 40% share. Everyone in Iowa benefits. 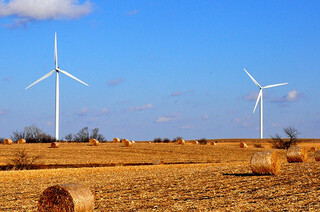 Farmers and rural landowners who allow wind turbines on their land are sharing $17 million a year in lease payments and towns benefit through a new, reliable tax base. Citizens benefit from lower electric bills, cleaner air and water. Thanks to some good policy decisions, solar will soon grow in Iowa. Read our article, Which States Have the Cheapest Electricity? Those With the Most Renewable Energy. Because the wind industry has become so vital to Iowa, the Republican governor is one of three to sign the "Governors’ Accord for a New Energy Future." Thanks to wind, Minnesota is getting 21% of electricity from renewables – up from 6% 10 years ago – and 17% of that comes from wind, according to Minnesota’s Commerce Department. Over the past five years, the wind industry has invested $128 billion to the US economy, according to AWEA. There are now 500 factories in 43 states, supporting 73,000 well-paying jobs and producing power for 19 million homes. Last year, 8.6 gigawatts (GW) of wind was installed and there is 14.3 GW in the pipeline, says AWEA. 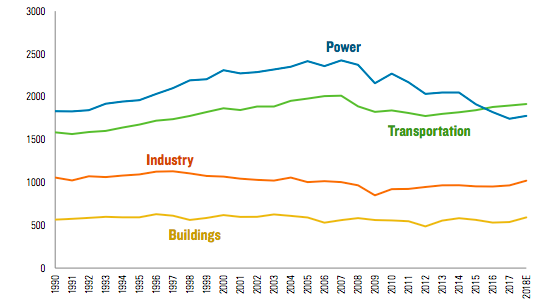 At this rate, wind will supply 20% of US electricity by 2030, when it employs 380,000 people. Wind currently produces about 5% of US electricity, and by the end of 2017, it’s expected to reach 8.4%, says Generation Hub. Previous Previous post: How Can 9 Billion People Get Protein Without Destroying the Environment?